Dr. Wahida Suresh is a General Physician, Gynecologist, and Obstetrician in Karapakkam, Chennai and has an experience of 28 years in these fields. 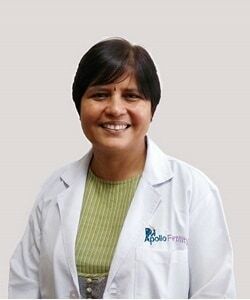 Dr. Wahida Suresh practices at Apollo Medical Center in Karapakkam, Chennai, Apollo Medical Centre in Kotturpuram, Chennai and Apollo Fertility in Anna Nagar, Chennai. She completed MBBS from Madras Medical College, Chennai in 1989 and DNB from Madras Medical College, Chennai in 1993. She is a member of Tamilnadu Medical Council. Some of the services provided by the doctor are, Intra-Uterine Insemination (IUI), Endometrial Receptivity Array, Gynec Procedures, ART Consultant and Intracytoplasmic Sperm Injection (ICSI) etc.